Have you had that experience where you are in a wooded area and the whole scene in front of you evokes both wonder and calm? Then you get your camera and take a picture of it, and all you get is a wall of unappetizing green. The reason, I think is that what we feel in the woods is only partly what we see. It's also the cool breeze we feel, the rustling of the leaves, the crunch of the ground underfoot as we walk. It's not easy to take a picture of that, and it's not easy to paint it either. 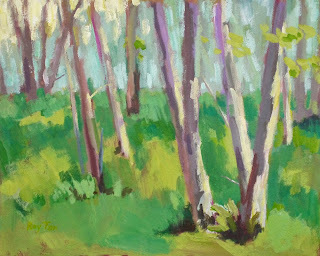 This painting is as far as my abilities go in trying to capture my experience of a wooded area. I hope at least I have conveyed some of it. P.S., I did not grow up in the US, so I actually don't know a lot about what the local flora are called. 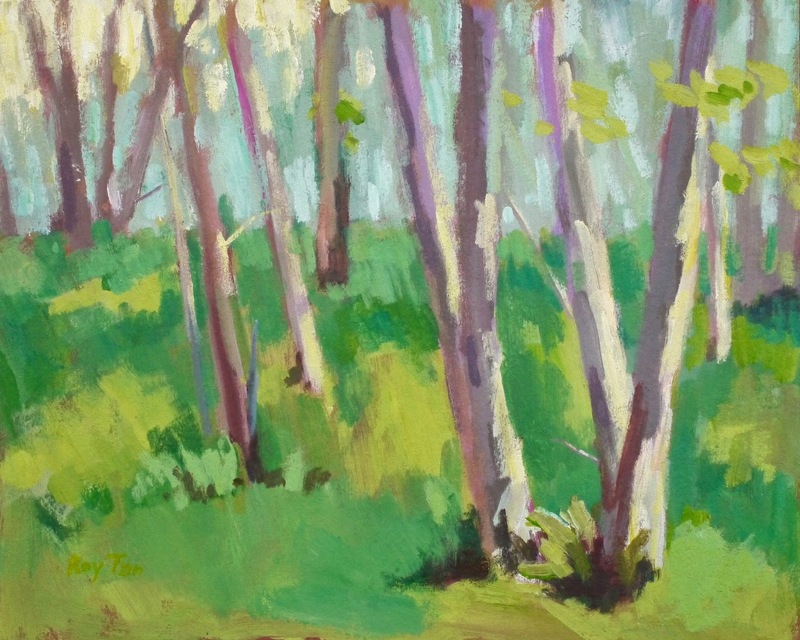 But my fellow artists helpfully mentioned that these were alder trees I was painting.